THE main UK parties launched their General Election manifestos this week, with pledges of long-term backing for food and farming but also grounds for concern is some key areas. While all parties voiced lofty aspirations for driving agriculture, inevitably it was the Conservative-Labour divide on the badger cull that prompted the strongest reaction among farmers. The Conservatives, Labour and Liberal Democrats all pledged to implement long-term strategies for the industry, with policies intended to boost British food consumption and production at home and abroad. The Green Party outlined its vision for a sustainable farming industry that provides nutritious, affordable food for all while ensuring farmers earn a ‘decent livelihood’, while the UK Independence Party laid out its plans for supporting UK farmers beyond the EU and the Common Agricultural Policy (CAP). Other common themes across the manifestos included widespread support for clearer country-of origin labelling of food products and to boost the power of the Groceries Code Adjudicator, as well as a focus on increasing apprenticeships within the industry. But the biggest controversy surrounds the badger cull. 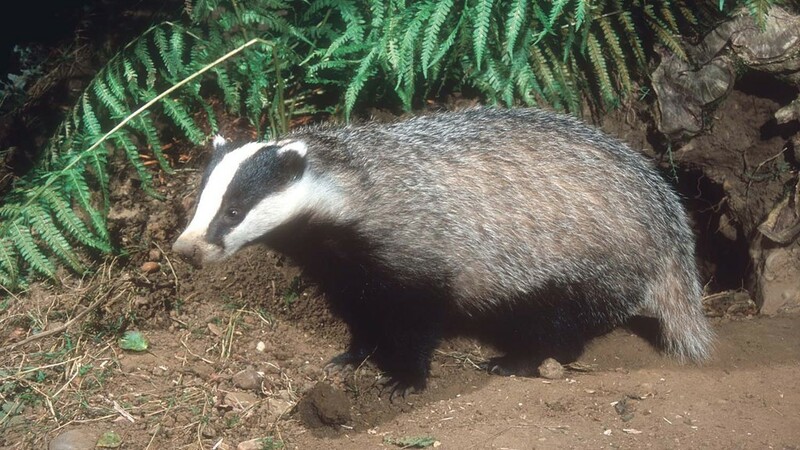 Speaking to Farmers Guardian, Defra Secretary Liz Truss pledged the Conservatives would roll out badger culling to new areas as part of the Government’s long-term TB eradication strategy, insisting the pilots showed culling to be ‘effective, humane and safe’. She branded Labour’s pledge to immediately scrap the pilots as ‘very irresponsible’ as it was going against the advice of Defra’s Chief Officer. But Shadow Farming Minister Huw Irranca-Davies insisted the Labour position was based ‘entirely on the evidence’. He said the ‘unscientific pilots’ had been judged ‘inhumane and ineffective’ by its independent monitors and criticised by ‘eminent scientists’ and would prove nothing if left to continue. He said Labour would work with Defra’s CVO and chief scientist, and the industry, to develop an alternative eradication strategy. The manifestos brought the issue of Europe to the fore. With Labour and the Liberal Democrats restating their commitment to pursuing reform from within the EU, the Conservatives confirmed Prime Minister David Cameron’s pledge to re-negotiate the UK’s hold an in-out referendum in 2017. Mrs Truss refused to speculate on the implications for farmers of the UK leaving Europe following the Conservatives’ promised 2017 in-out referendum. “I don’t want to leave. We want to stay in a reformed Europe,” she said. Mr Irranca-Davies criticised the Conservative and UKIP positions on Europe, warning leaving the EU could be damaging for farmers in terms of the single market and the CAP. “We don’t want to jeopardise that or sour our relations with our EU partners,” he said. There was a universal desire among the parties for further reform of CAP, with the Liberal Democrats, who focussed heavily on the environment in their manifesto, going the furthest in pledging to push for an end to production and export subsidies. Other eye-catching included a Conservative pledge to introduce a single farm inspection agency to cut red tape on farms. Labour put much emphasis on securing better paid jobs in the industry and is considering bring back a form of the Agricultural Wages Board. Overall, however, the manifestos, with the exception of the Greens and UKIP, were lacking in detail on policy, a reaction to the prospect of a coalition Government, according to NFU. NFU president Meurig Raymond said farmers, particularly in the South West, were ‘extremely angry’ over Labour’s stance on the badger cull. “It is going to put a possible Labour Government on a collision course with livestock farmers,” he said. He welcomed the adoption of a number of NFU policy asks in the manifestos but said there was a general lack of detail on how the main Parties were going to champion food and farming. He also said further scrutiny was required of some of UKIP's policies, including the pledge to scrap EID in the UK, which Mr Raymond warned could threaten the UK's ability to sustain its lucrative lamb export trad to Europe. Tenant Farmers Association (TFA) chief executive George Dunn said Labour’s manifesto appeared to be 'more slight on farming issues' than the others and said its ‘clear anti-TB control statement’ would ‘characterise them in the eyes of the farming community’. But he welcomed the Party’s pledge to extend the powers of the Adjudicator. He also welcomed the focus by the Liberal Democrats and UKIP on ensuring CAP payments go to active farmers but said TFA was disappointed only Plaid Cymru promised to look at tax incentives for promoting longer-term farm tenancies.